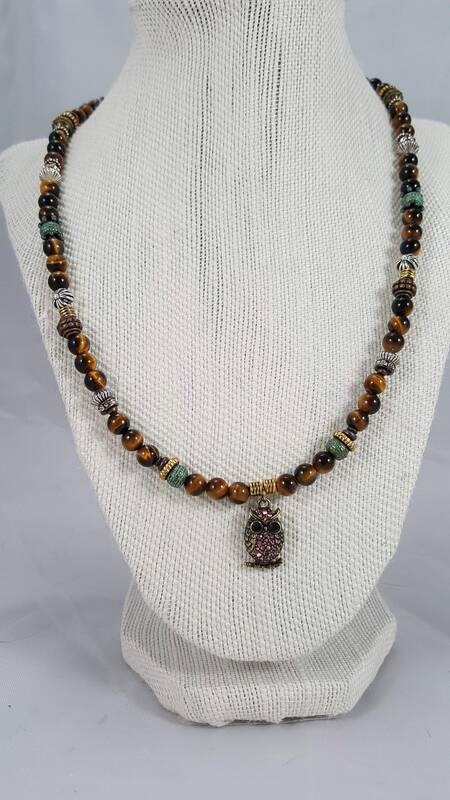 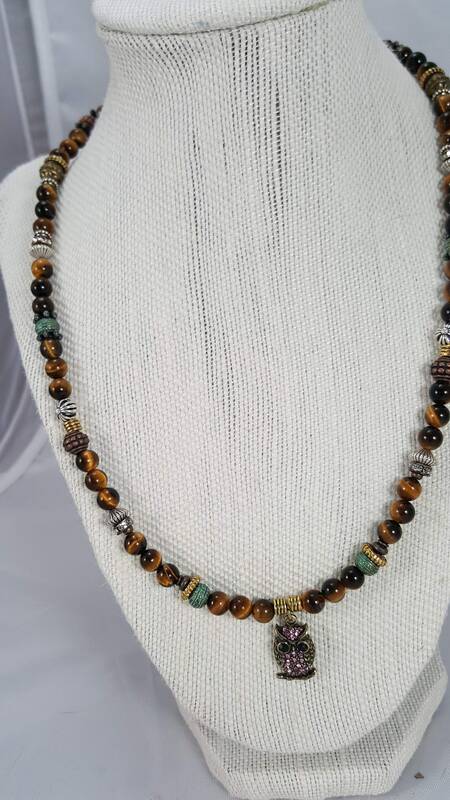 20 Tiger eye gold stone necklace with metallic multicolored beads and a 1 gold with pink crystal Owl pendant. 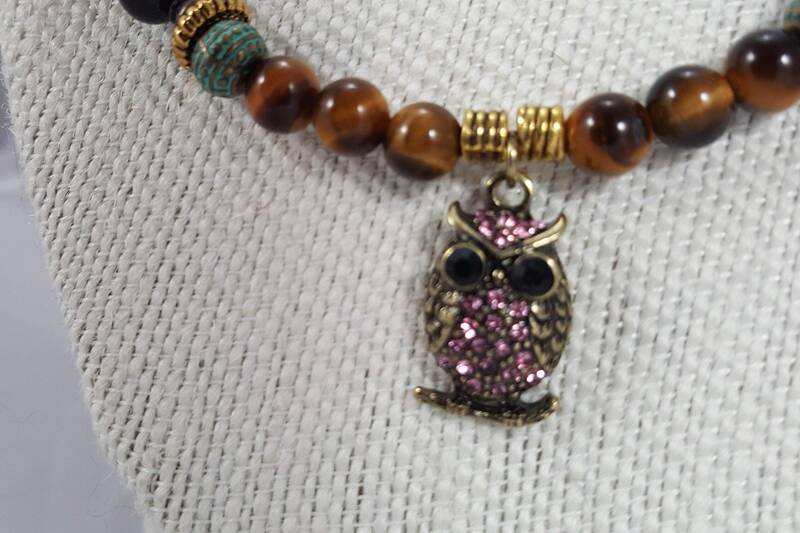 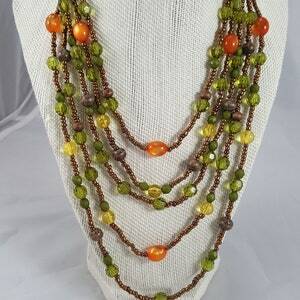 20" Tiger eye gold stone necklace with metallic multicolored beads and a 1" gold with pink crystal Owl pendant. 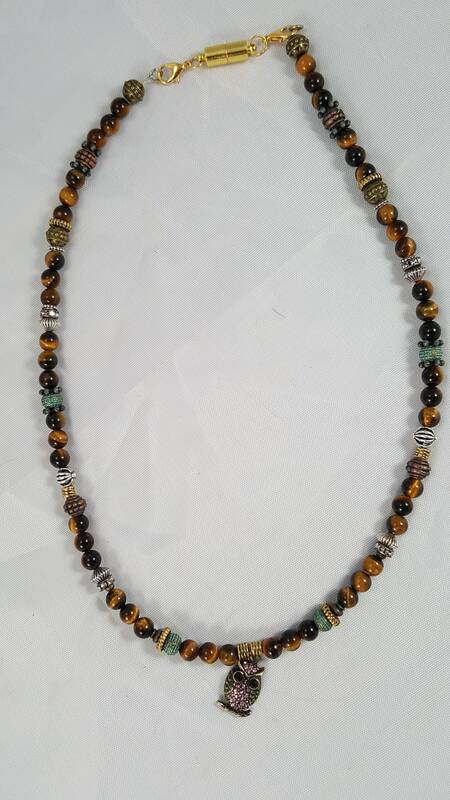 20" Tiger eye gold stone necklace with metallic multicolored beads and a 1" gold with pink crystal Owl pendant. 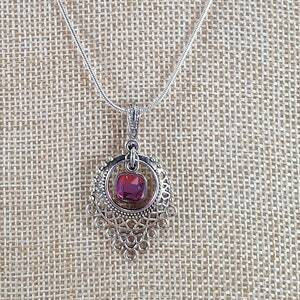 Shops favorite piece. 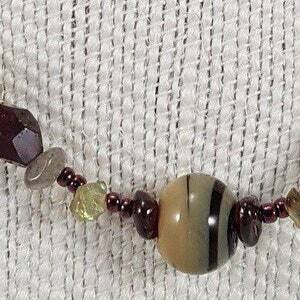 A owls energy can help give you the strength needed to open your eyes and look into the shadows. 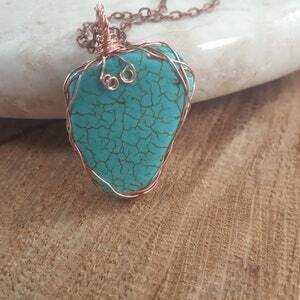 Beautiful strawberry shaped turquoise stone pendant wire wrapped with copper on a 21" copper chain .